it looks like the interwebs got its first look yesterday of Jerry “theFranchize” Gaylord‘s upcoming cover for FANBOYS VS. ZOMBIES #16! 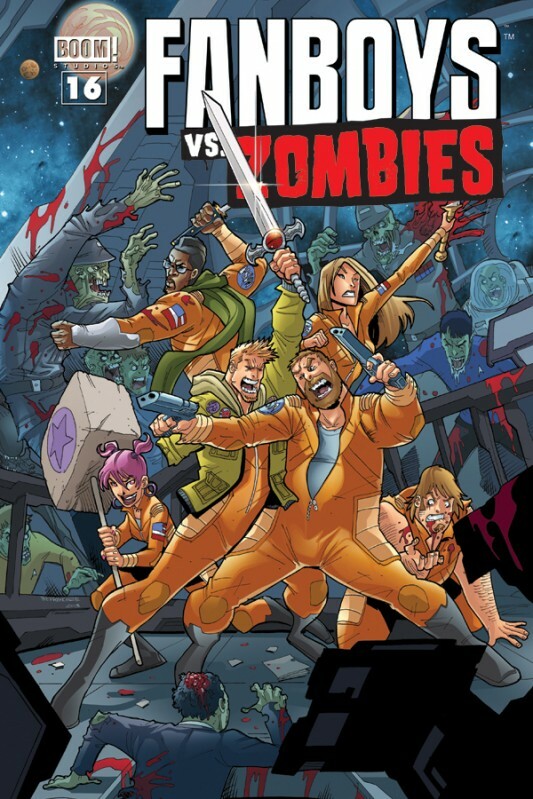 thanks to GeeksofDoom.com , fans got to see the cover to the conclusion of the space story arc of the Wrecking Crew’s battle to stay alive in all the madness. it’s got zombies, space, space zombies, and a nod to Thundercats! Drawn by theFranchize and colored by Gabriel Cassata.